Native American Sgraffito Pottery Round Bottom Pot with Flowers and Hummingbirds. 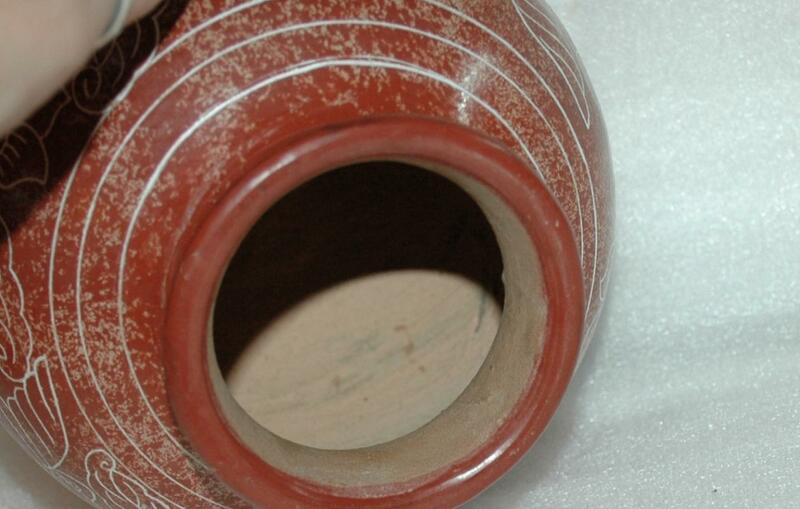 The glaze is brick red brick that is mottled. The bottom is round so it will need to be set in a holder. Featured motifs are dogwood flowers , stems and leaves with a hummingbird on either side. The bottom also has a flower. It came from an estate sale and I am not certain if it is S.W. 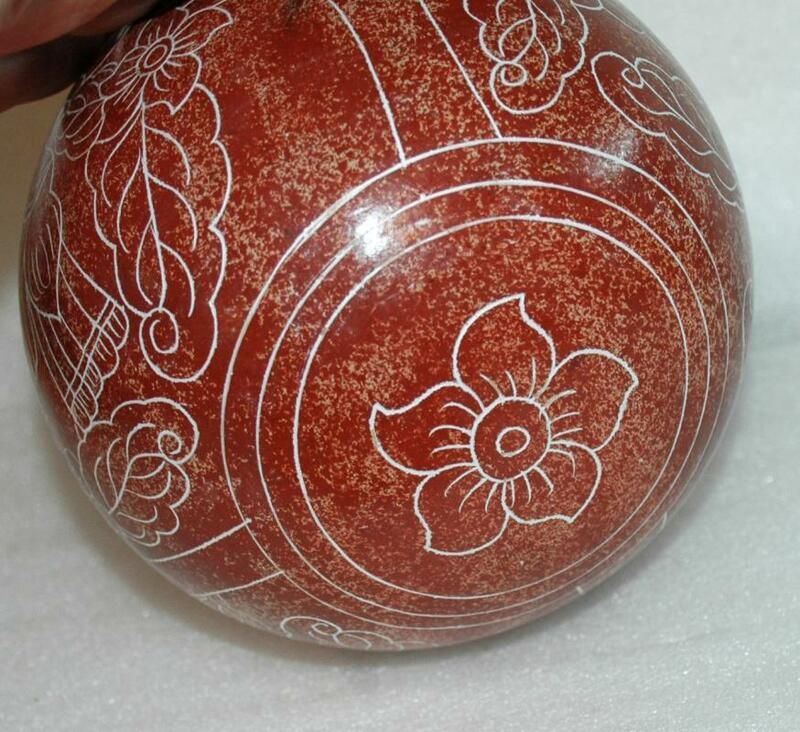 Native American Pottery or Central American. The conditions is very good. No damage... A few areas in which the glaze is not as even and a few very minor scratches. 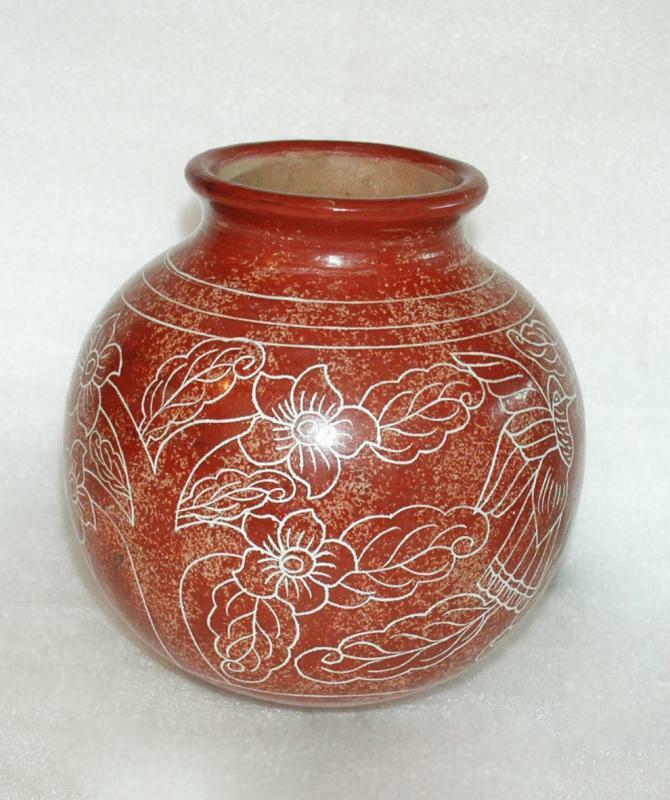 Items Similar To " Native American Sgraffito Pottery Round Bottom Pot with Flowers..."